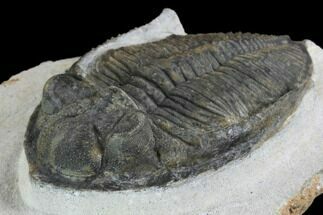 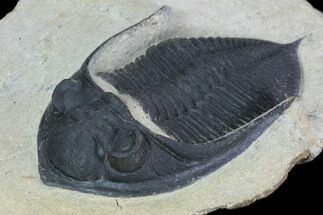 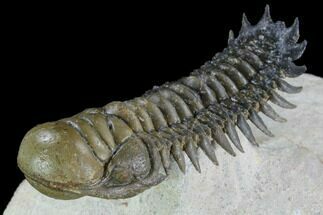 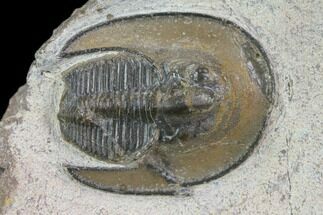 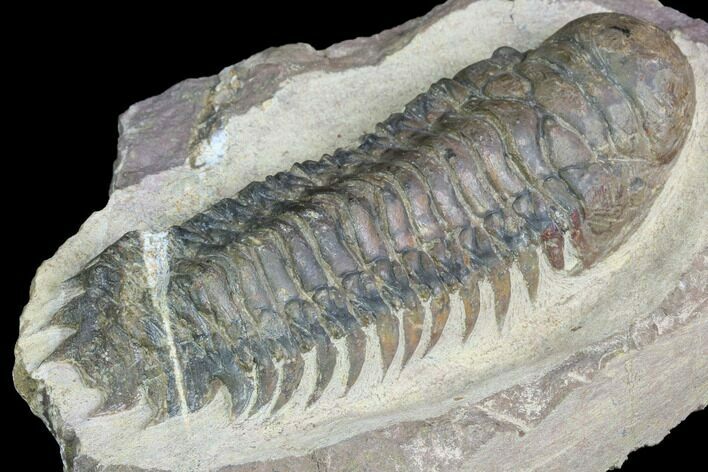 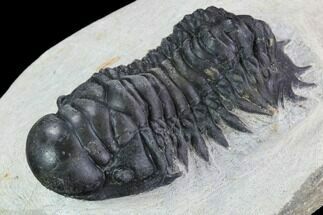 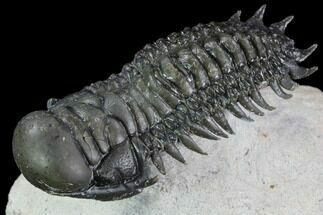 This is a 3.1" long, Crotalocephalina trilobite collected from near Laatchana, Morocco. 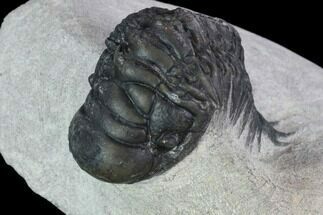 It's been prepared to remove the surrounding limestone so that it looks like it's ready to crawl off the rock. 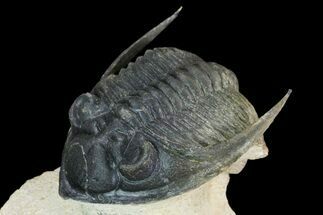 Preparation is a bit rough leaving some scratches on the shell and there is some shell restoration on the front of the head. 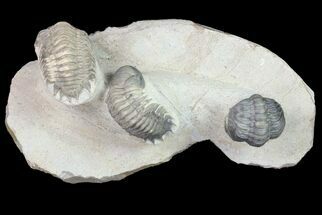 There is a natural fault filled with calcite running through the tail which has caused a shift in the fossil.